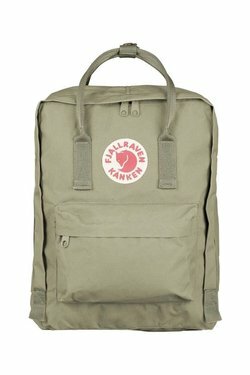 Fjällräven Kånken Backpack in Putty - Wildland Supply Co.
With the Swedish mantra in mind, "Straight backs are happy backs," Fjāllrāven created the first Kånken in 1978 to spare the backs of school children, as back problems had begun to appear in increasingly younger age groups. Simple, stylish and functional, the Kånken backpack soon became a common sight in schools around the country, quickly spreading to cities around the world as an iconic (yet highly functional) Swedish export. Made out of durable, lightweight VinylonF, the Kånken has a large main compartment with a large opening, two side pockets, a zippered pocket in the front, handle at the top, narrow, supple shoulder straps, a sitting pad in the pocket and logo that doubles as a reflector. 38 cm H x 27 cm W x 13 cm D.